4) is an inorganic chemical, the conjugate base that can form many different salts. In organic chemistry, a phosphate, or organophosphate, is an ester of phosphoric acid. Of the various phosphoric acids and phosphates, organic phosphates are important in biochemistry and biogeochemistry (and, consequently, in ecology), and inorganic phosphates are mined to obtain phosphorus for use in agriculture and industry. At elevated temperatures in the solid state, phosphates can condense to form pyrophosphates. 4. Phosphates are essential for life. This is the structural formula of the phosphoric acid functional group as found in weakly acidic aqueous solution. In more basic aqueous solutions, the group donates its two hydrogen atoms and ionizes as a phosphate group with a negative charge of 2. A polyatomic ion, also known as a molecular ion, is a charged chemical species (ion) composed of two or more atoms covalently bonded or of a metal complex that can be considered to be acting as a single unit. The prefix poly- means "many," in Greek, but even ions of two atoms are commonly referred to as polyatomic. In older literature, a polyatomic ion is also referred to as a radical, and less commonly, as a radical group. In contemporary usage, the term radical refers to free radicals that are species with an unpaired electron. In chemistry, the empirical formula of a chemical compound is the simplest positive integer ratio of atoms present in a compound. A simple example of this concept is that the empirical formula of sulphur monoxide, or SO, would simply be SO, as is the empirical formula of disulfur dioxide, S2O2. This means that sulfur monoxide and disulfur dioxide, both compounds of sulfur and oxygen, will have the same empirical formula. However, their molecular formulas, which express the number of atoms in each molecule of a chemical compound, may not be the same. In chemistry, the molar massM is a physical property defined as the mass of a given substance divided by the amount of substance. The base SI unit for molar mass is kg/mol. However, for historical reasons, molar masses are almost always expressed in g/mol. Solubility is the property of a solid, liquid or gaseous chemical substance called solute to dissolve in a solid, liquid or gaseous solvent. The solubility of a substance fundamentally depends on the physical and chemical properties of the solute and solvent as well as on temperature, pressure and presence of other chemicals of the solution. The extent of the solubility of a substance in a specific solvent is measured as the saturation concentration, where adding more solute does not increase the concentration of the solution and begins to precipitate the excess amount of solute. Rubidium is a chemical element with symbol Rb and atomic number 37. Rubidium is a soft, silvery-white metallic element of the alkali metal group, with a standard atomic weight of 85.4678. Elemental rubidium is highly reactive, with properties similar to those of other alkali metals, including rapid oxidation in air. On Earth, natural rubidium comprises two isotopes: 72% is the stable isotope, 85Rb; 28% is the slightly radioactive 87Rb, with a half-life of 49 billion years—more than three times longer than the estimated age of the universe. In 2007, at the current rate of consumption, the supply of phosphorus was estimated to run out in 345 years. However, some scientists thought that a "peak phosphorus" will occur in 30 years and Dana Cordell from Institute for Sustainable Futures said that at "current rates, reserves will be depleted in the next 50 to 100 years". Reserves refer to the amount assumed recoverable at current market prices, and, in 2012, the USGS estimated 71 billion tons of world reserves, while 0.19 billion tons were mined globally in 2011. Phosphorus comprises 0.1% by mass of the average rock  (while, for perspective, its typical concentration in vegetation is 0.03% to 0.2%),  and consequently there are quadrillions of tons of phosphorus in Earth's 3 * 1019 ton crust,  albeit at predominantly lower concentration than the deposits counted as reserves from being inventoried and cheaper to extract; if it is assumed that the phosphate minerals in phosphate rock are hydroxyapatite and fluoroapatite, phosphate minerals contain roughly 18.5% phosphorus by weight and if phosphate rock contains around 20% of these minerals, the average phosphate rock has roughly 3.7% phosphorus by weight. 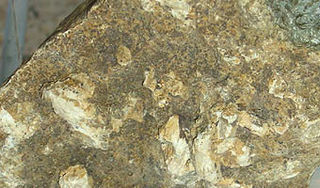 Some phosphate rock deposits, such as Mulberry in Florida,  are notable for their inclusion of significant quantities of radioactive uranium isotopes. This syndrome is noteworthy because radioactivity can be released into surface waters  in the process of application of the resultant phosphate fertilizer (e.g. in many tobacco farming operations in the southeast US). Phosphorus is a chemical element with symbol P and atomic number 15. Elemental phosphorus exists in two major forms, white phosphorus and red phosphorus, but because it is highly reactive, phosphorus is never found as a free element on Earth. It has a concentration in the Earth's crust of about one gram per kilogram. With few exceptions, minerals containing phosphorus are in the maximally oxidized state as inorganic phosphate rocks. Tetrasodium pyrophosphate, also called sodium pyrophosphate, tetrasodium phosphate or TSPP, is an inorganic compound with the formula Na4P2O7. As a salt, it is a white, water-soluble solid. It composed of pyrophosphate anion and sodium ions. Toxicity is approximately twice that of table salt when ingested orally. Also known is the decahydrate Na4P2O7 · 10(H2O). Hydroxyapatite, also called hydroxylapatite (HA), is a naturally occurring mineral form of calcium apatite with the formula Ca5(PO4)3(OH), but it is usually written Ca10(PO4)6(OH)2 to denote that the crystal unit cell comprises two entities. Hydroxyapatite is the hydroxyl endmember of the complex apatite group. The OH− ion can be replaced by fluoride, chloride or carbonate, producing fluorapatite or chlorapatite. It crystallizes in the hexagonal crystal system. Pure hydroxyapatite powder is white. Naturally occurring apatites can, however, also have brown, yellow, or green colorations, comparable to the discolorations of dental fluorosis. There are various kinds of phosphoric acids and phosphates. Of the many phosphorus oxoacids, the phosphoric acids constitute the largest and most diverse group. The simplest phosphoric acid series begins with monophosphoric (orthophosphoric) acid, continues with many oligophosphoric acids such as diphosphoric (pyrophosphoric) acid and concludes in the polyphosphoric acids. But, phosphoric acid units can bind together into rings or cyclic structures, chains (catenas), or branched structures, with various combinations possible. 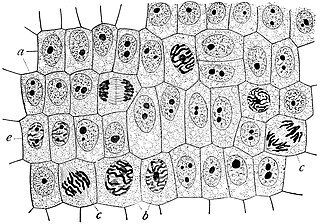 Each of these can form phosphates. Ammonium phosphate is the salt of ammonium and phosphate. It is a highly unstable compound with the formula (NH4)3PO4. Because of its instability, it is elusive and of no commercial value. A related "double salt", (NH4)3PO4. (NH4)2HPO4 is also recognized but is too unstable for practical use. Both triammonium salts evolve ammonia. In contrast to the fragile nature of the triammonium salts, diammonium phosphate (NH4)2HPO4 is a valuable material, mainly as a fertilizer. Also of value is monoammonium salt (NH4)H2PO4, which is also valued as a fertilizer. These two salts provide plants with fixed nitrogen and phosphorus. Tricalcium phosphate (sometimes abbreviated TCP) is a calcium salt of phosphoric acid with the chemical formula Ca3(PO4)2. It is also known as tribasic calcium phosphate and bone phosphate of lime (BPL). It is a white solid of low solubility. Most commercial samples of "tricalcium phosphate" are in fact hydroxyapatite. Monocalcium phosphate is an inorganic compound with the chemical formula Ca(H2PO4)2 ("AMCP" or "CMP-A" for anhydrous monocalcium phosphate). 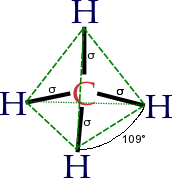 It is commonly found as the monohydrate ("MCP" or "MCP-M"), Ca(H2PO4)2·H2O. Both salts are colourless solids. They are used mainly as superphosphate fertilizers and are also popular leavening agents. Sodium monofluorophosphate, commonly abbreviated MFP, is an inorganic compound with the chemical formula Na2PO3F. Typical for a salt, MFP is odourless, colourless, and water-soluble. This salt is an ingredient in some toothpastes. Dicalcium phosphate is the calcium phosphate with the formula CaHPO4 and its dihydrate. The "di" prefix in the common name arises because the formation of the HPO42– anion involves the removal of two protons from phosphoric acid, H3PO4. It is also known as dibasic calcium phosphate or calcium monohydrogen phosphate. Dicalcium phosphate is used as a food additive, it is found in some toothpastes as a polishing agent and is a biomaterial. Fluorapatite, often with the alternate spelling of fluoroapatite, is a phosphate mineral with the formula Ca5(PO4)3F (calcium fluorophosphate). Fluorapatite is a hard crystalline solid. Although samples can have various color (green, brown, blue, yellow, violet, or colorless), the pure mineral is colorless as expected for a material lacking transition metals. Along with hydroxylapatite, it can be a component of tooth enamel. Disodium phosphate (DSP), or sodium hydrogen phosphate, or sodium phosphate dibasic, is the inorganic compound with the formula Na2HPO4. It is one of several sodium phosphates. The salt is known in anhydrous form as well as forms with 2, 7, 8, and 12 hydrates. All are water-soluble white powders; the anhydrous salt being hygroscopic. Dimagnesium phosphate is a compound with formula MgHPO4. It is a Mg2+ salt of monohydrogen phosphate. The trihydrate is well known, occurring as a mineral. Hypophosphoric acid is a mineral acid with the formula H4P2O6, with phosphorus in a formal oxidation state of +4. In the solid state it is present as the dihydrate, H4P2O6·2H2O. 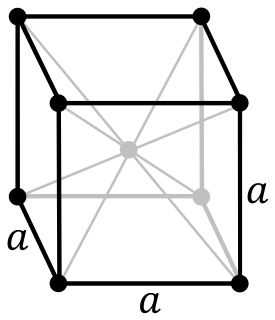 In hypophosphoric acid the phosphorus atoms are identical and joined directly with a P−P bond. There is an isomeric form isohypophosphoric acid which has a different structure with non-identical phosphorus atoms, one of which has a directly bonded H atom and an oxidation state of +3, which is joined by a P−O−P bridge to the second phosphorus atom which has an oxidation state of +5. Vanadium phosphate are inorganic compounds with the formula VOxPO4 as well related hydrates with the formula VOxPO4(H2O)n. Some of these compounds are used commercially as catalysts for oxidations. 1 2 "Phosphate Primer". Florida Industrial and Phosphate Research Institute. Florida Polytechnic University. Archived from the original on 29 August 2017. ↑ Campbell, Neil A.; Reece, Jane B. (2005). Biology (Seventh ed.). San Francisco, California: Benjamin Cummings. p. 65. ISBN 0-8053-7171-0. ↑ Reilly, Michael (May 26, 2007). "How Long Will it Last?". New Scientist . 194 (2605): 38–9. Bibcode:2007NewSc.194...38R. doi:10.1016/S0262-4079(07)61508-5. ↑ Leo Lewis (2008-06-23). "Scientists warn of lack of vital phosphorus as biofuels raise demand". The Times. ↑ Floor Anthoni. "Abundance of Elements". Seafriends.org.nz. Retrieved 2013-01-10. ↑ Central Florida Phosphate Industry: Environmental Impact Statement. 2. United States. Environmental Protection Agency. 1979. ↑ C. Michael Hogan (2010). Mark McGinley and C. Cleveland (Washington, DC. : National Council for Science and the Environment), ed. "Water pollution". Encyclopedia of Earth . Archived from the original on 2010-09-16. ↑ "Updated Hinda Resource Announcement: Now world's largest phosphate deposit (04/12/2012)". Cominco Resources. 1 2 Schmittner KE, Giresse P (1999). "Micro-environmental controls on biomineralization: superficial processes of apatite and calcite precipitation in Quaternary soils, Roussillon, France". Sedimentology. 46 (3): 463–76. Bibcode:1999Sedim..46..463S. doi:10.1046/j.1365-3091.1999.00224.x. ↑ Gnandi, K.; Tchangbedjil, G.; Killil, K.; Babal, G.; Abbel, E. (March 2006). "The Impact of Phosphate Mine Tailings on the Bioaccumulation of Heavy Metals in Marine Fish and Crustaceans from the Coastal Zone of Togo". Mine Water and the Environment. 25 (1): 56–62. doi:10.1007/s10230-006-0108-4. Wikimedia Commons has media related to Phosphates .